Bodies of Nigerian soldiers killed on April 18 in a Boko Haram ambush in Gubio, Borno state, are yet to be retrieved, a soldier on the war front has told reporters. 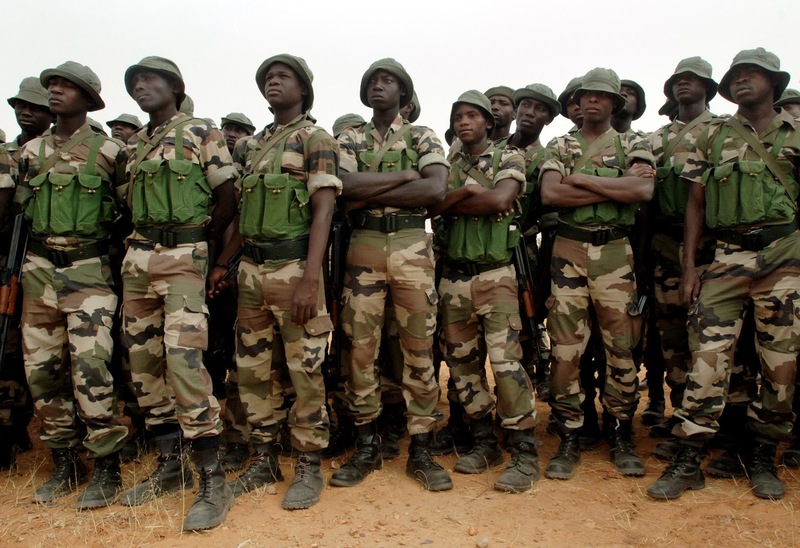 According to TheCable, the soldier said Gubio, the local government, is the “nemesis” of Nigerian troops as the insurgents are still fully in control, despite the successes recorded since President Muhammadu Buhari came to power. But a spokesman for the army has described the soldier’s claims as “false”. The soldier said it was impossible for the Nigerian military to penetrate Gubio because of the insurgents’ “superior fire power”, although he said successes have been recorded in other local government areas of the state. “In one battalion, out of 500 plus, they are no longer up to 150. Half of them did not come back alive. Boko Haram killed some but our soldiers also killed some insurgents. Of the 12 soldiers that recently returned from Guinea Bissau, 10 have died,” he said. Reports had suggested that Nigerian soldiers suffered “heavy losses” in the ambush, but the army issued a statement later in the day saying the insurgents were eventually overpowered. The soldier said: “Boko Haram is well-armed… all of them. Anti-aircraft gun is what they use to kill people. Their vehicles are the colour of the Nigerian army just as their uniforms. Boko Haram uses anti-aircraft guns, but we don’t have those. And they have more than 20 rocket-propelled grenades; we have only two. “When we were trying to enter Gubio on Monday (April 18), they ambushed us. It is not clear to us how they got to know our mission. “On that day soldiers said that they did not want to go into that local government area because they did not have arms. But their bosses said that they must go there without being well-armed. Two battalions (113 and 158) of the fifth brigade went there. “Uncountable soldiers lost their lives. The corpses are still there now. We only recovered 15 bodies, but many of the soldiers are in the bush dead, and their bodies are decomposing. And authorities are going to block their accounts if their bodies are not recovered. Their families will not be able to access their salaries or benefits. There must be a dead body before you can make claims. “There is no reinforcement, and the commanders are asking the soldiers to go back there. Some soldiers have run away; there are less than 100 in a particular battalion now. The ammunition has been depleted, and no reinforcement. However, the army has described the report has false. Speaking with TheCable, Sani Usman, army spokesman, called for a “proper questioning” of soldiers who leak information to journalists. He explained that some of the soldiers who quickly run to give false information to the press were the ones running away from battle. Usman described them as “cowards”.